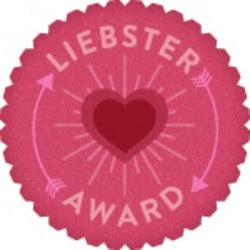 My lovely blogger pal D from allerdings nominated me for the Liebster Award! I'm so stoked and excited!! The Liebster award is an award for bloggers with less than 200 followers. "Liebster" is German and means sweetest or beloved - you may call your hubby Liebster if he is behaving particularly nice that day. Alas, with all the glory also comes responsibility and rules. 1. I hyper-extend my neck when I'm sleeping - it's as uncomfortable as it looks. 2. I don't like cheese. 3. When I was a child my biggest fear was that I would lose my eyesight one day. 5. I have this strange habit of twirling my hair until there's a big knot that I sometimes have to cut out. 7. I'm very reluctant to watch new shows on TV, I like to stick to old faithfuls. 8. I love sour candy. 9. I'm secretly afraid of the phone - I never pick up unless I know who it is (and even then it's 50/50). 1. which country would you go to if you were given a free airplaine ticket? Australia! I've never been, and I really wanna see it one day. I know a couple Aussis and I love their accents and laid-back attitude. If things are supposed to happen they will. Don't stress about it. Enjoy the gorgeous BC summer in my backyard and use no heat on my hair. No blow dryer, straightener, or curling iron (which, to be completely honest, I don't know how to use anyway). Operation "growing hair out" is in full swing! Walk off the Earth! I love them. How much I enjoy writing and photography; that it's okay to be different; that bloggers are a very friendly bunch; that blogging is a passion of mine! Easy smile, enjoy life, optimistic, lots of energy, love coffee in the mornings, could never live without dogs. Hmm, don't really know - I think I'm generous and I hope I'm a good listener? Advice-giver? My weakness is staying in touch consistently, I'm more sporadic. More honesty, less lies. Be real people! 2. What would you do with one (not enough) ten million dollars? 5. What's the best advice you ever got? 10. What's your favourite hobby? 11. What quality do you find most attractive in others? Thank you so much, Miriam! I will answer these questions very soon :) and Congratulations on your nomination as well.